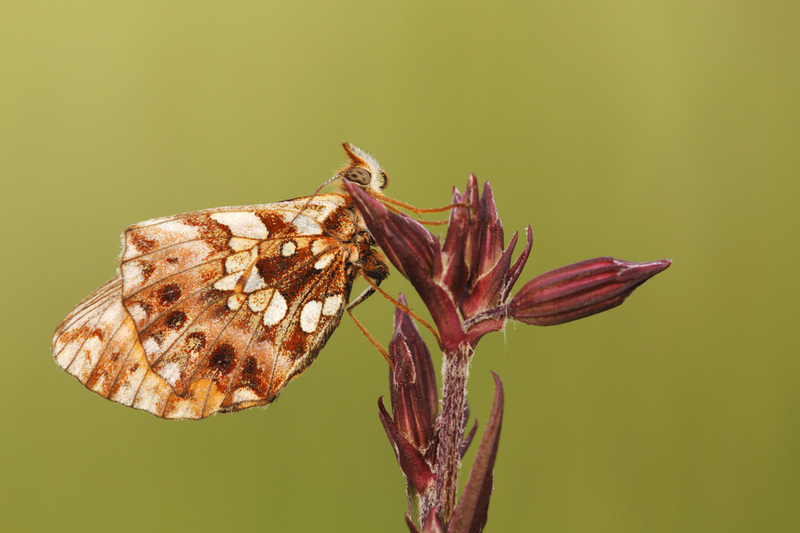 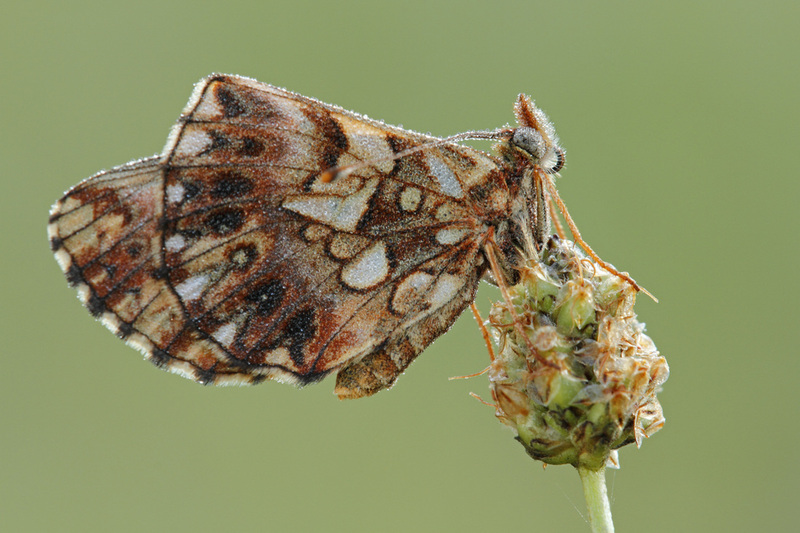 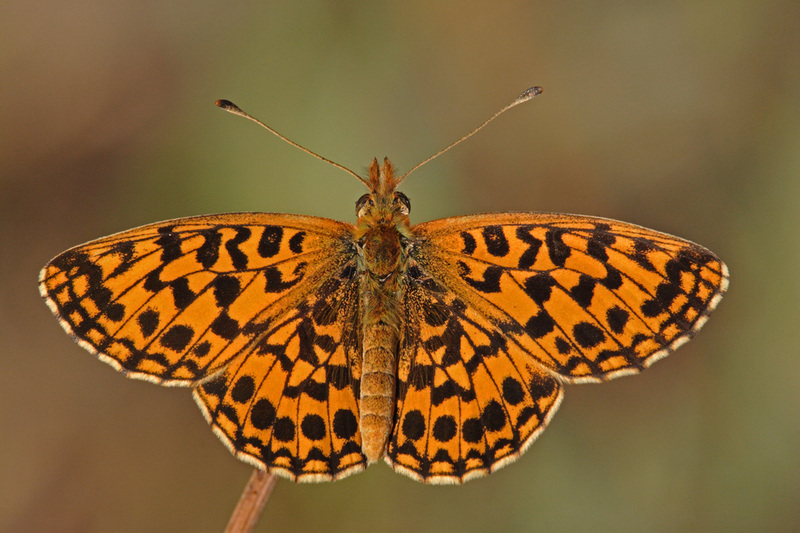 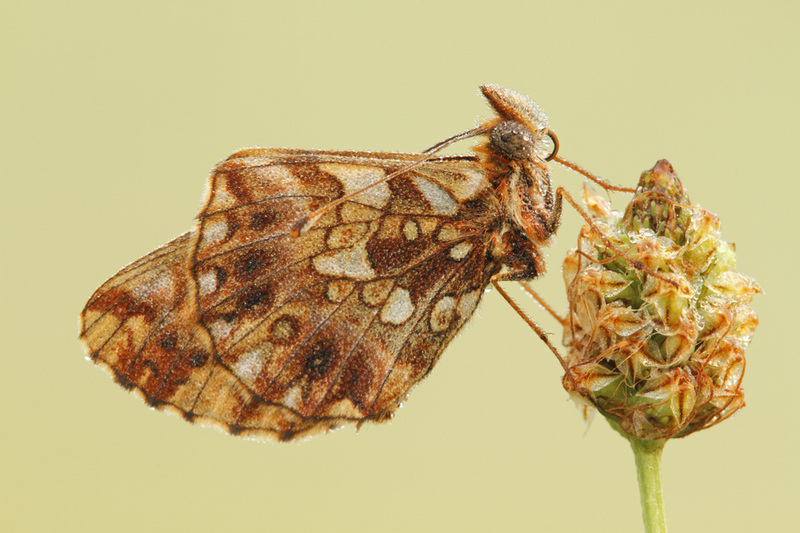 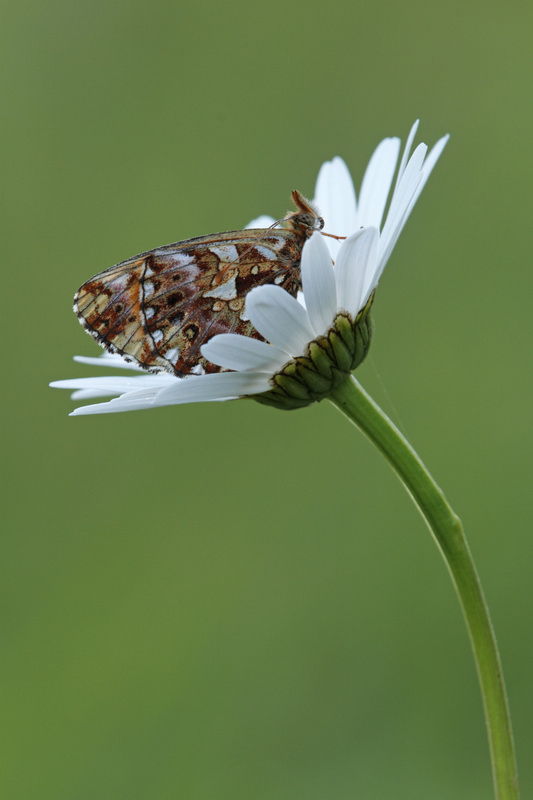 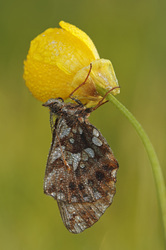 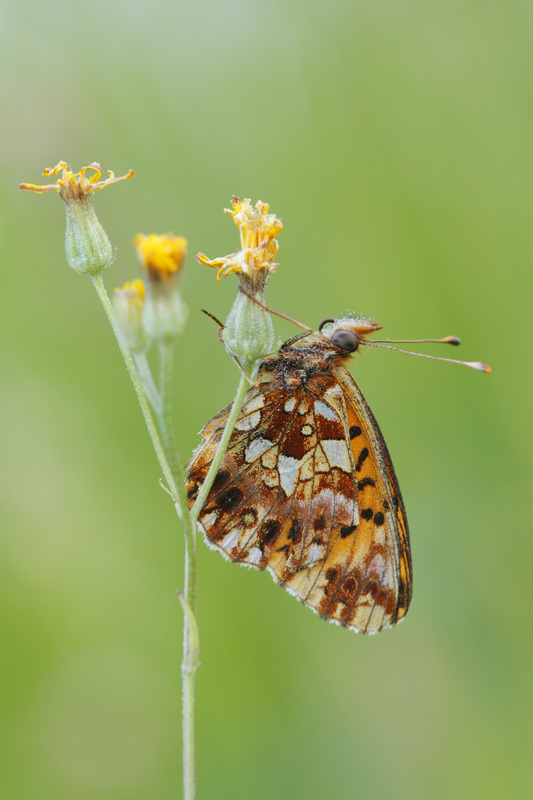 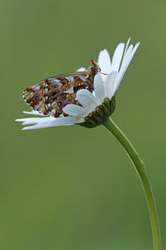 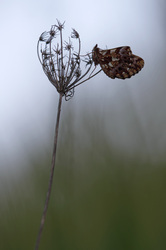 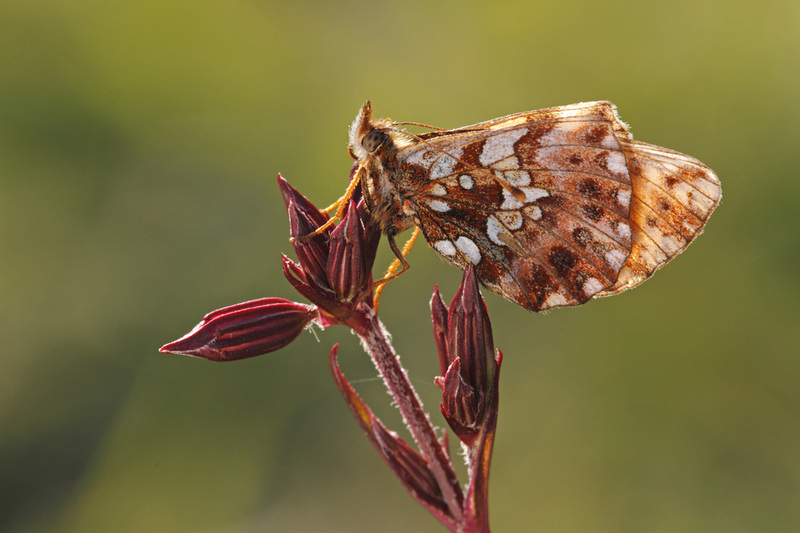 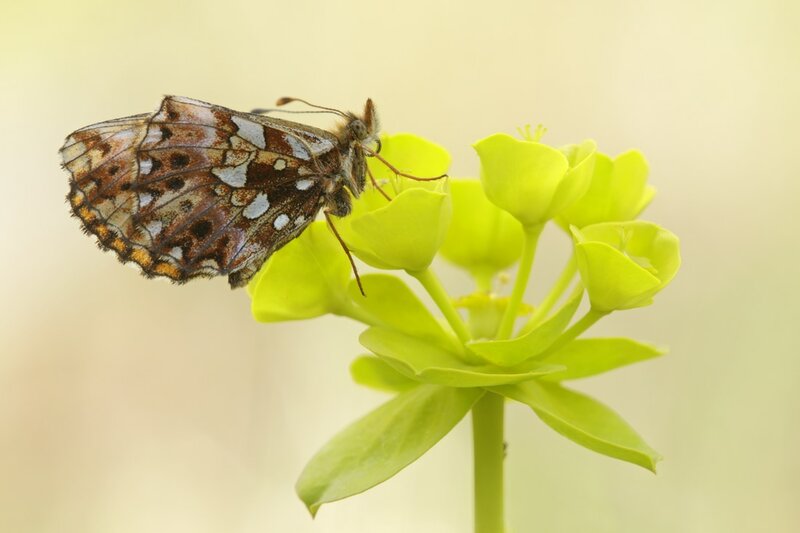 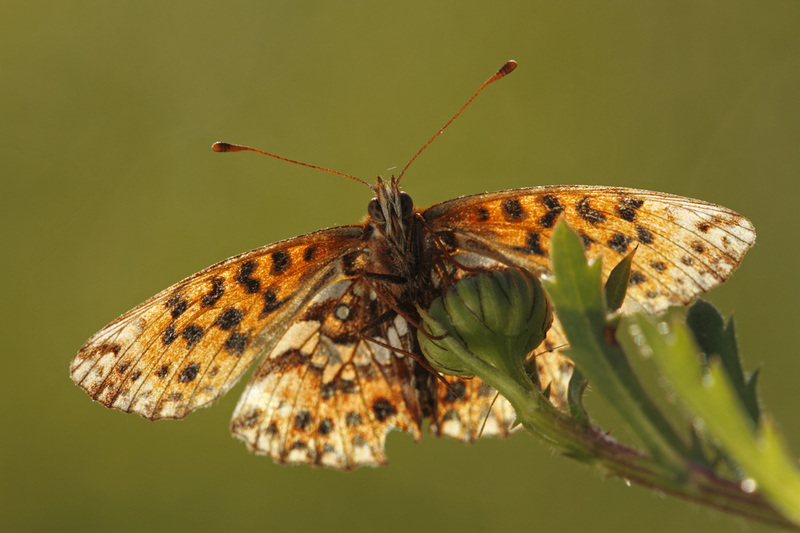 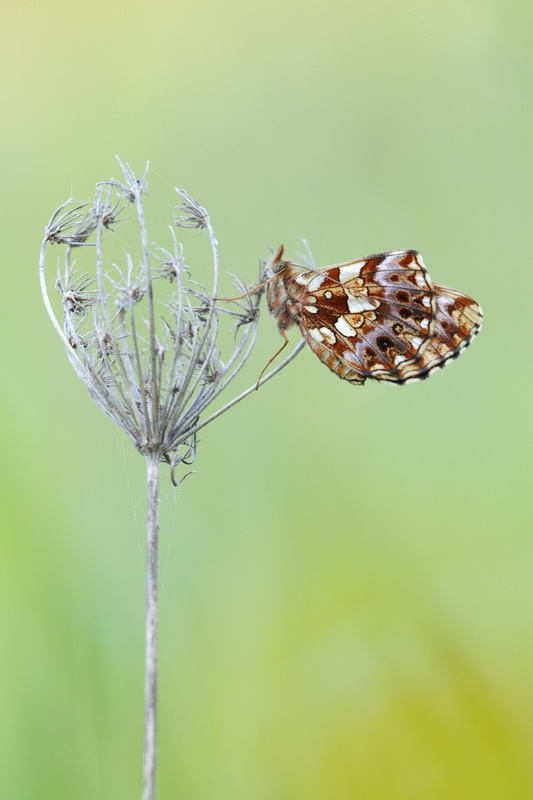 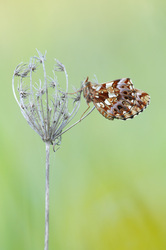 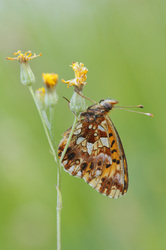 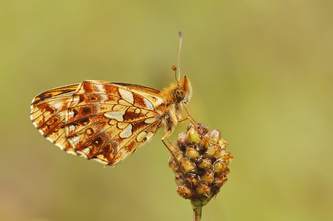 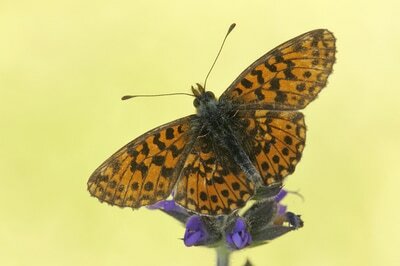 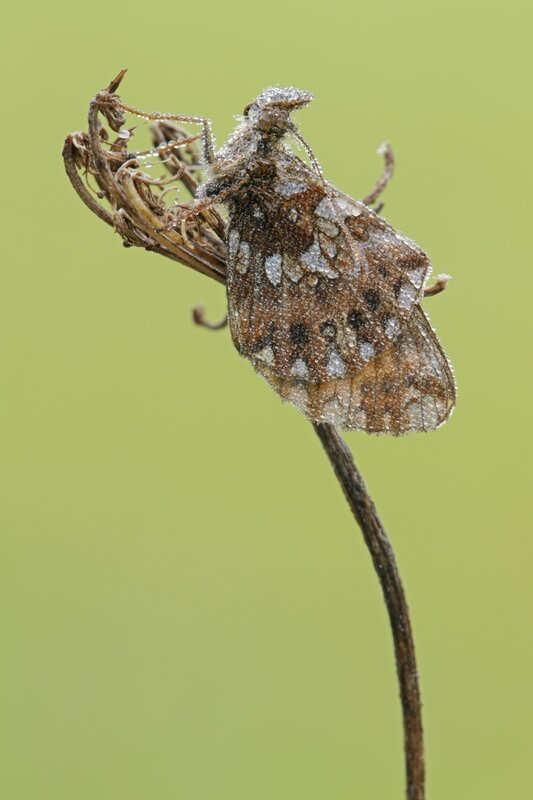 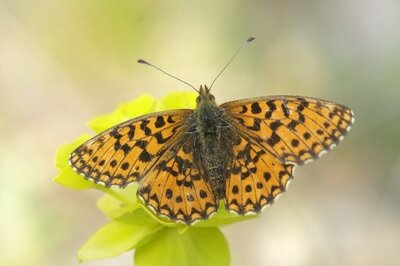 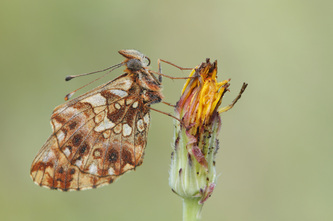 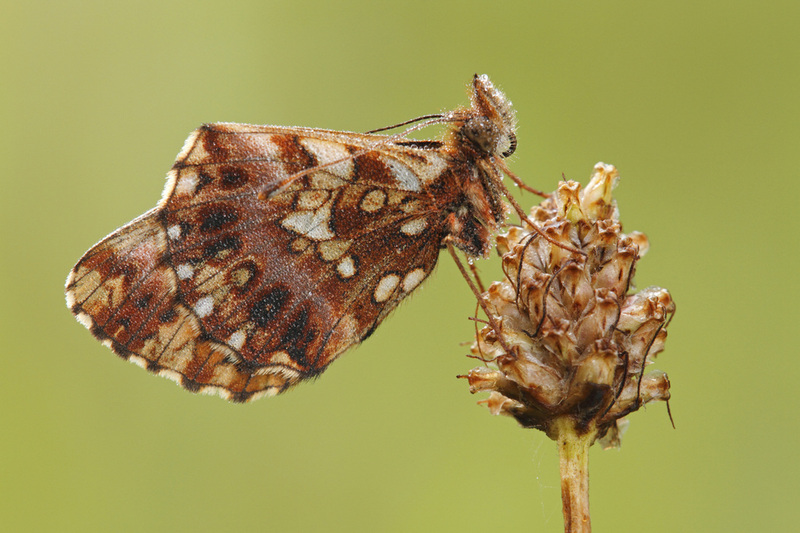 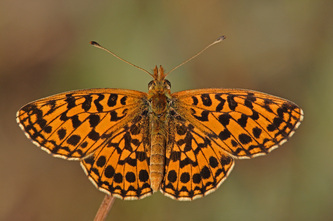 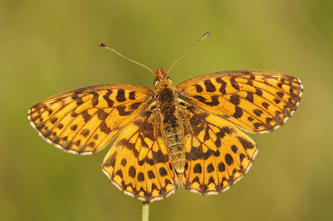 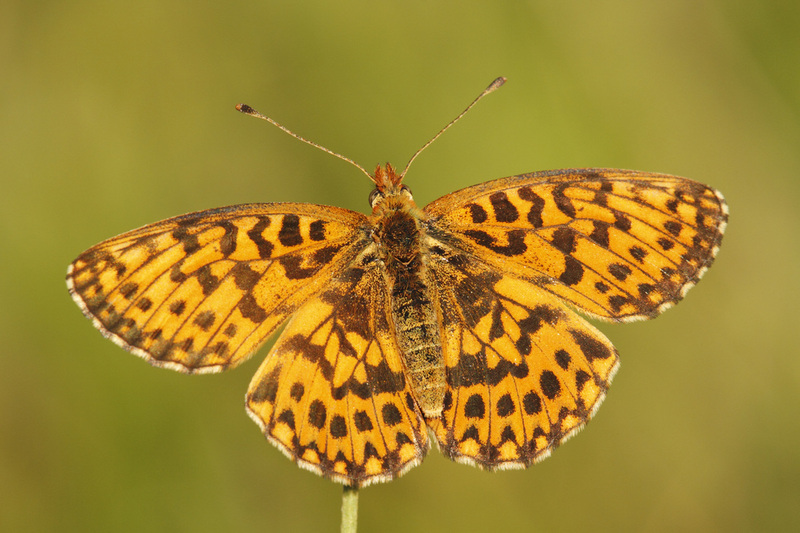 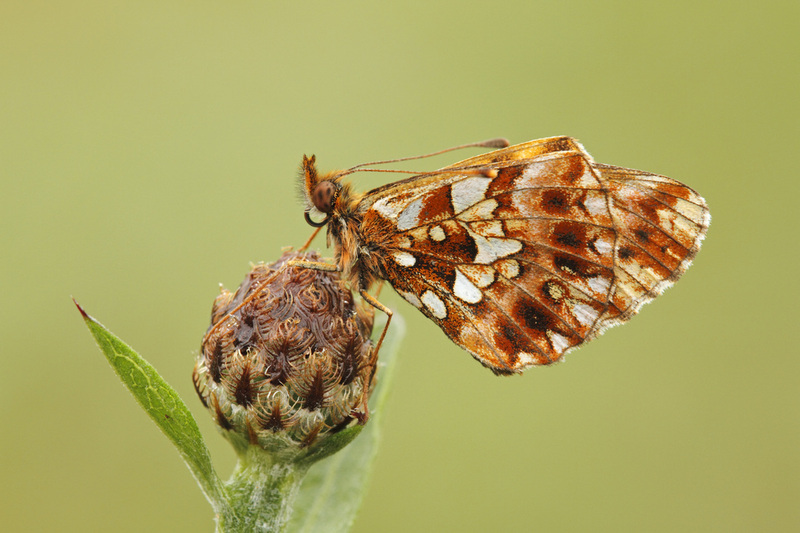 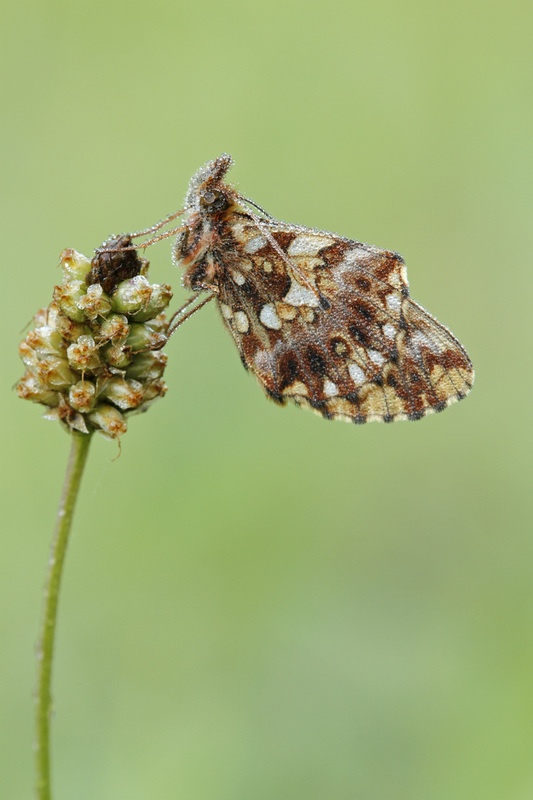 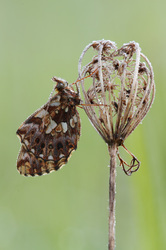 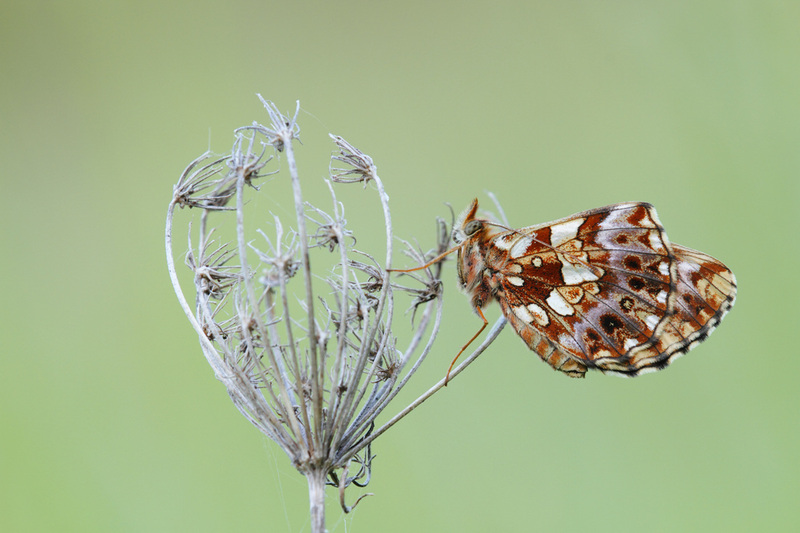 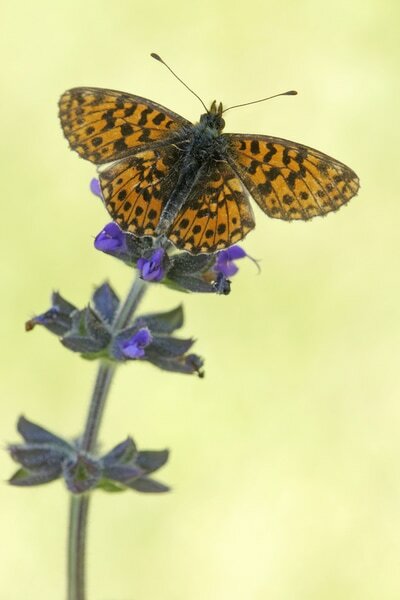 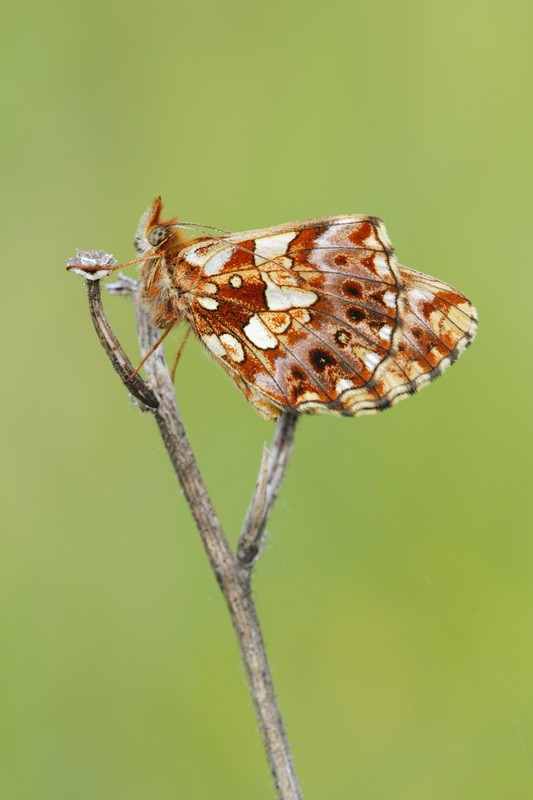 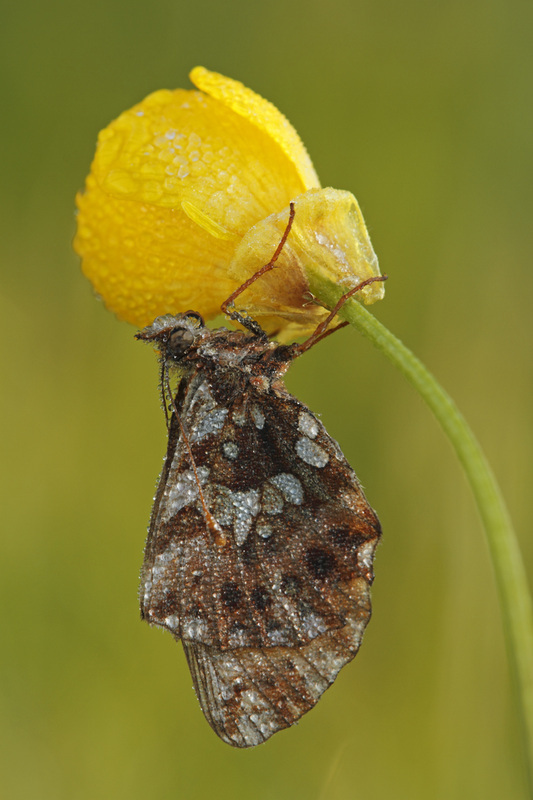 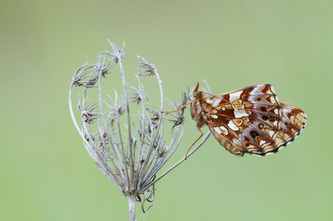 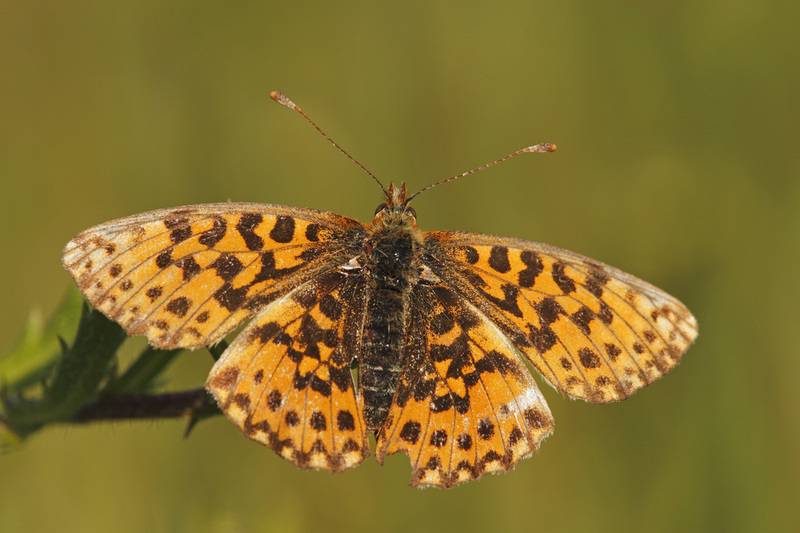 One of the smallest of the European fritillaries, this species is most easily identified by the very sharp angle of the front edge of the hindwing. The ground colour of the upperside is orange and the dark markings are relatively large. 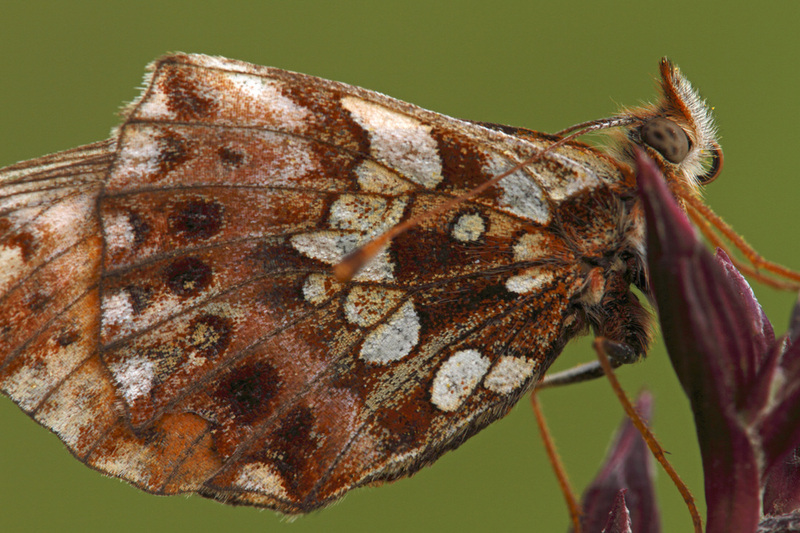 Those in the basal part of the forewing are stronly angular, while the hindwing bears a complete arc of large, oval post-discal spots. 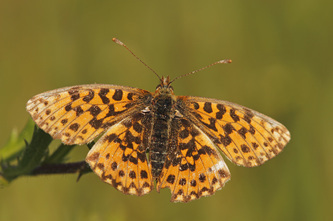 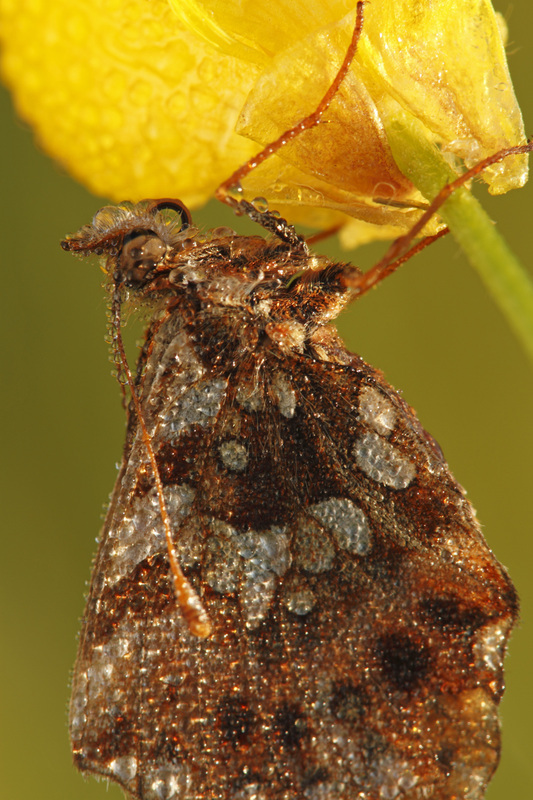 The underside of the forewing is largely orange with black spots, but the tip is yellowish with rust-coloured markings. The underside of the hindwing is largely brown, with a strong violet tinge and a discal band containing three or four large silvery spots. 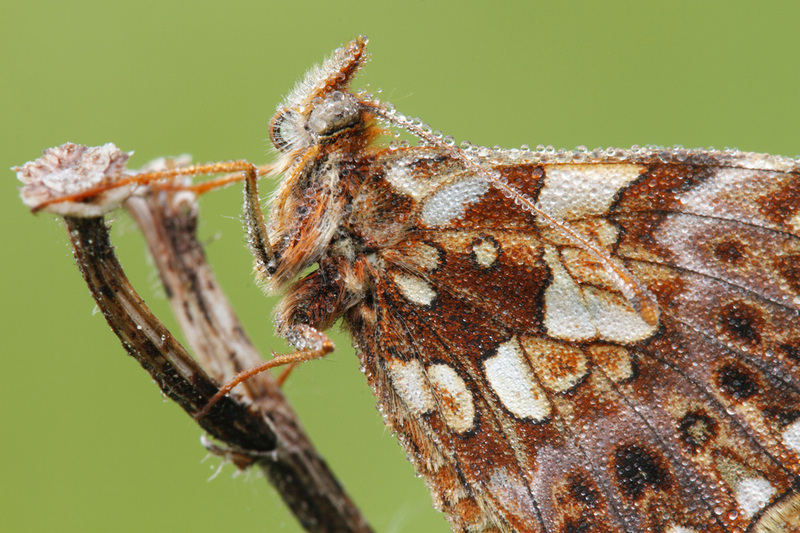 There are also six silvery marginal spots and, just inside these there is an arc of dark post-discal spots, often containing silvery centres. Flight from April to October in two or three broods. 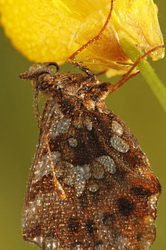 Violets are the main larval foodplants, but Bramble and various other low-growing plants may also be used.